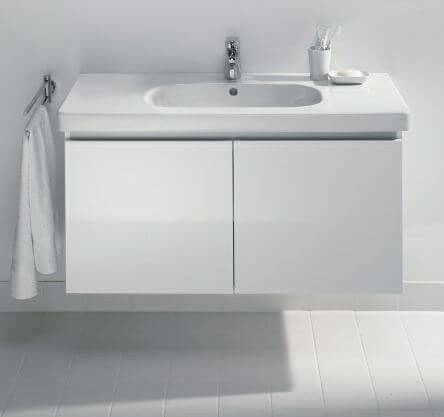 Above: The Duravit Vero. Well, golly, this guy was new to me. It reminds me of one of the vintage Cranes. I can’t remember the name, and I don’t seem to have a catalog on my website — who knows??? Duravit has a terrific website, the only thing that bugs me is that their measurements are all in metric. So, I don’t know how wide this Vero is. Hey, Duravit, I am an American — I refuse to do metric. 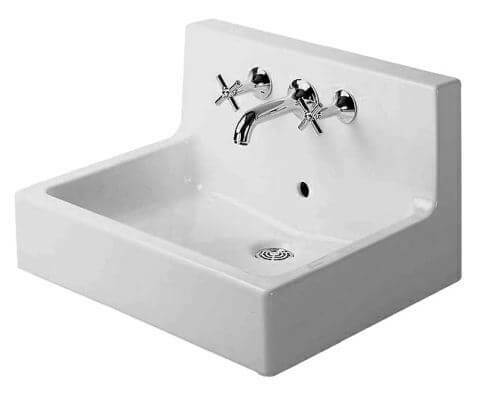 This is a good sink, all that deck space is actually useful. 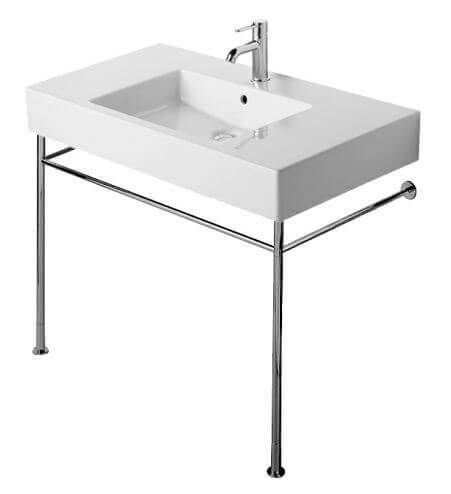 The Vero also comes in this high-back washbasin configuration. So cute — great for tiny spaces. The Scola, above, is also pretty darn cute. Can you tell that I think if you design your sink to fit on chrome legs I think it looks retro? Yes: Chrome legs are retro. 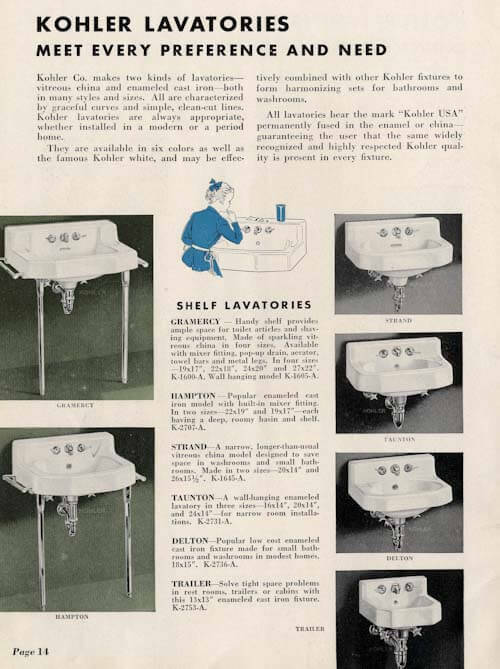 They had them like crazy in the 1940s and 1950s. Then they went out of style in favor of vanities. Now they are back, in various re-interpretations, for those who want “retro”. 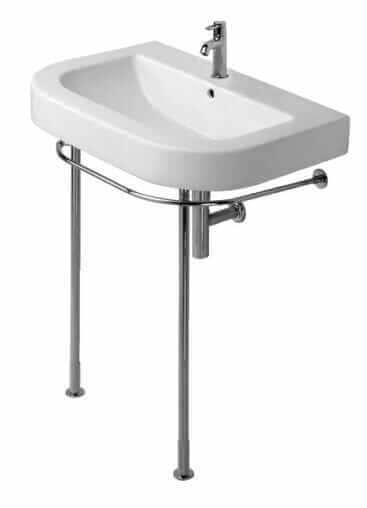 Duravit also offers quite a few console sinks that can be dropped into furniture. I think that the look above — with the vanity off the ground — is super duper popular today. I like it. Cabinetry that is off the ground makes small spaces feel bigger — an important consideration for many of us in midcentury or vintage homes with small bathrooms. I actually think that having too much space in a vanity is dangerous: Stuff just gets lost in there and urps all over so that when you discover it three years later it’s totally disgusting. 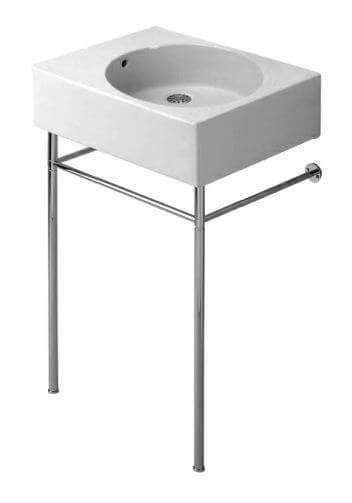 I am suffering from some serious chrome legged console sink lust. 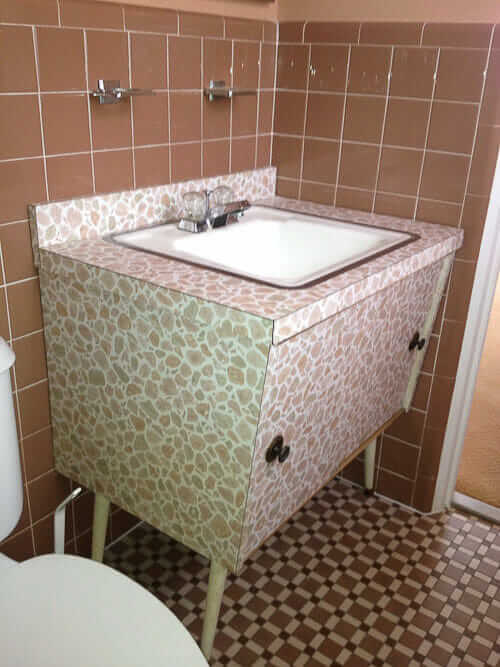 We just had this Duravit Starck 3 installed (with the chrome legs) in our retro-ish renovation bathroom (we have a 1920s era house). We needed something small to fit our space and it worked beautifully! A bit pricy but just what we wanted. It’s a beauty. Paired it with a Kohler one hole faucet, looks great. Nice blog, Julia! I added it to my blogroll! You can get anything in pink; just have it reglazed. 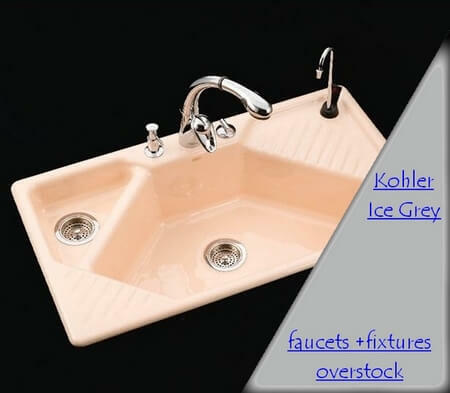 I had two cheap white sinks reglazed pink to match my bath tub. 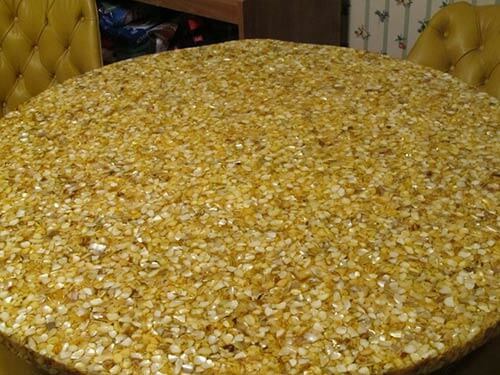 It cost $150 for each. Perfect match. 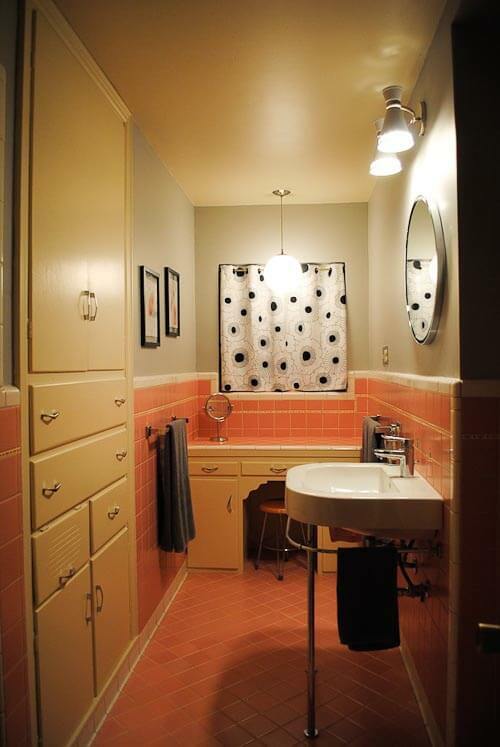 We have the Happy D in our 1950s ranch master bath. The person we bought the house from took great care to update the house while remaining true to the architecture. The Happy D is a perfect choice! The only drawback seems to be related to the choice of faucet: water splashes!